This morning we had the worst spring blizzard in more than fifty years. Several inches of snow fell, with drifting in the hills, and even at noon the temperature was still below 3°C. It will be a disaster for all the wading birds that breed in the Pennine hills with only the Dunlin not yet incubating eggs. 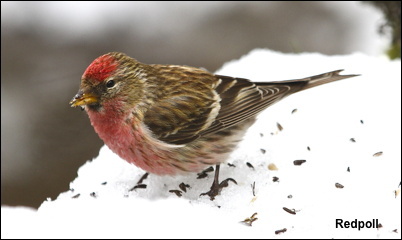 The bonus in the garden is that all those birds featured in last weeks blog were still present but this time in more arctic conditions. 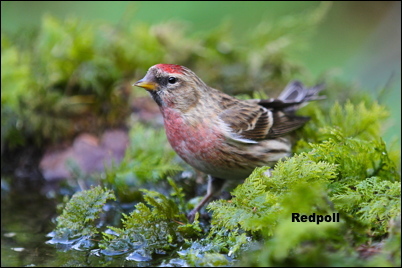 The highlight being a male Redpoll with superb crimson plumage. On the 22nd April I had the best spring bird locally for some time when a male Whinchat was present. His colours were superb and its a great pity that they no longer breed on our neighbouring moors. 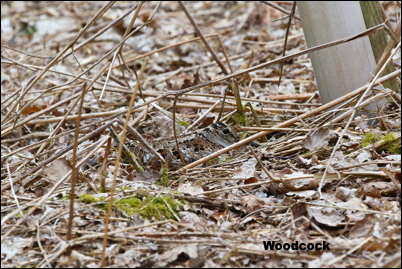 The ultimate challenge in springtime is to find a Woodcock incubating eggs. The camouflage when it lays them amongst leaves and bracken is superb as is shown by this weeks sitting female. She laid her eggs on or about the 20th March which is exceptionally early and means she had to sit through two periods of snow! In more than fifty years of searching for Woodcock nests this nest is only the 13th that I have seen – it is the greatest Pennine challenge in springtime and becomes harder each year as the Woodcock has declined by more than fifty percent in the last twenty years. 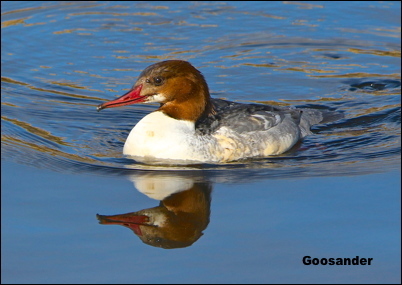 Since last weeks blog on Goosanders ten were present on our local canal three days ago and this is certainly a local record. Most of our summer visitors are now here with Redstart and Pied Flycatcher arriving in Lancashire yesterday(with snow overnight!). Whether we see or hear any Cuckoos remains to be seen.